Help us improve our program and your experience! Denim collected through the Blue Jeans Go GreenTM program is upcycled into UltraTouchTM Denim Insulation. Find out if you are eligible to receive insulation from us. Since 2006, we have provided UltraTouchTM Denim Insulation to over 30 Habitat for Humanity affiliates around the country. If you are interested in receiving insulation for your affiliate, apply now. Please note that submissions are evaluated on a first-come, first-served basis. Submitting a request does not automatically guarantee that you will receive insulation. Would you like to receive insulation for a civic building? 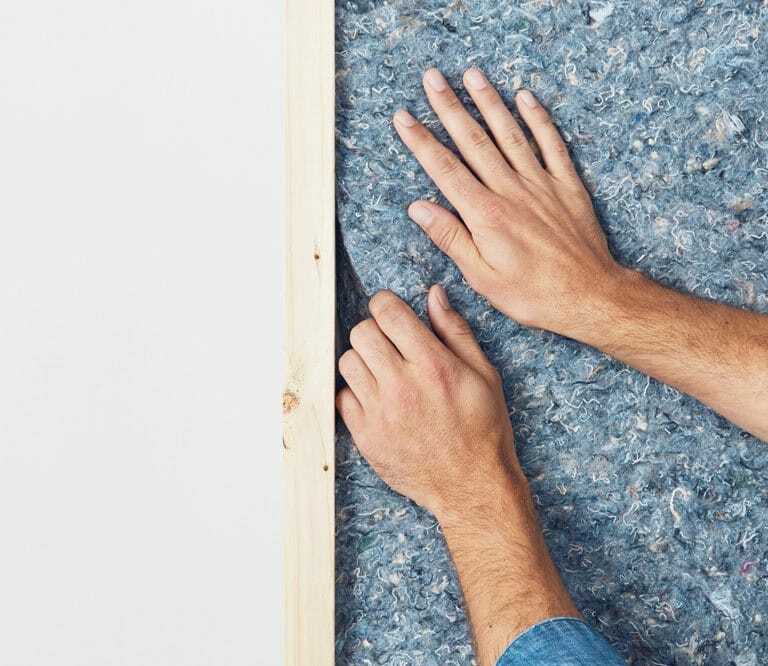 Organizations with a licensed architect, contractor or builder are eligible to apply for the Blue Jeans Go GreenTM UltraTouchTM Denim Insulation Grant Program. Please note that submissions are evaluated on a first-come, first-served basis. Submitting a request does not automatically guarantee that you will receive insulation. As more homes and buildings are insulated with UltraTouchTM Denim Insulation, more people will learn they can give denim to support the cause. And the more people who recycle, the more denim will be diverted from landfills. AMERICA'S COTTON PRODUCERS AND IMPORTERS. Service Marks/Trademarks of Cotton Incorporated ©2019 Cotton Incorporated. Blue Jeans Go GreenTM is a trademark of Cotton Incorporated. UltraTouchTM Denim Insulation is a trademark of Bonded Logic, Inc.